Amorim Cork South Africa is a subsidiary company of the Amorim Group in Portugal, the world’s largest natural cork producer and distributor. Dating back to 1870, Amorim Group is one of the largest and most entrepreneurial multinationals of Portuguese origin with operations in dozens of countries and all continents. Using a facility strategically situated in Stellenbosch – the heart of the winelands – Amorim Cork South Africa has earned a reputation for producing the best cork closures for the most iconic and award winning wines and spirits, and for providing its customers with knowledge and technical backup. Amorim provide high-integrity natural and technical cork closures for all type of wines, beers and spirits, with an emphasis on consistency, rigorous quality standards and product availability. Supplier of construction products and industrial applications. At the present time, cork applications include not only traditional high value-added products such as the cork stopper, but also products that incorporate advanced manufacturing technology and high R&D standards. Consequently, CORTICEIRA AMORIM makes available a vast portfolio of high quality products, for incorporation into diversified and demanding industries. Please visit our product range for more information. To be the leading cork supplier in the main wine markets worldwide, and be the market bench for consistency, reliability for quality, grading and sensorial performance. Develop, produce, commercialize and promote cork as the preferred closure, adapted to all market segments and generating a sustainable and adequate return to the stakeholders on invested capital. Development of employee competence to perform their duties successfully. Rigour and focus in the strategy execution, for fulfilment of customer and stakeholder’s expectations. South Africans love to pop the cork and bottled wine consumption has been on the rise for the past years. It’s estimated that every year nearly 100 million corks are popped, the equivalent to 500 tons of potential recyclable and upcyclable cork material. Seeing in it an opportunity, and as part of its BBBEE enterprise development, Amorim has created in 2013 a trust for their workers called Corklife. 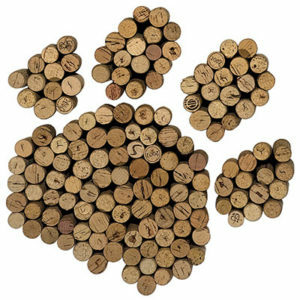 The empowerment project based in Stellenbosch has the objective of obtaining used and surplus corks to re-purpose it. Various recycling branded boxes for cork collection are already spread all over the Western Cape, namely at wineries tasting rooms, hotels, restaurants and wine bars. Through CorkLife, Amorim aims at creating a sector for reuse of cork, that will become self-sustaining and a net creator of employment.